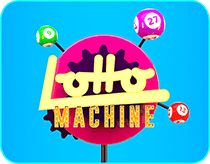 The Lotto Machine mixes a lottery-style draw with slot machine win lines, bonus scratch cards and an optional, ’50-50 chance’, win gamble feature. 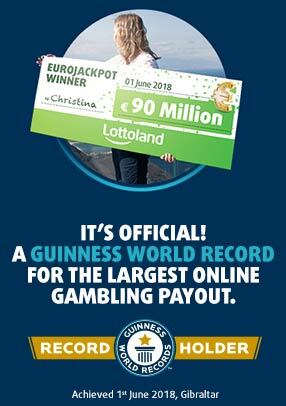 You can win up to €1,5 million! To begin playing, select 5 out of 34 numbers either manually or randomly. Hit PLAY and the game begins, 15 numbered balls will be randomly selected and dropped into three columns. In addition, if the joker ball lands in one of the three possible ‘joker traps’ then a win multiplier is triggered. This applies to any wins you have in the current round and in the next game round. If the joker trap is triggered again once it is already active, then the win multiplier further increases (up to a maximum of 32X). After a win occurs, you have the chance to “double or nothing” your prize. The chances are 50:50 that you will win either double your current winnings, or lose it all. You can potentially multiply your original winnings by 32X. If the total value of all the balls drawn exceeds 282, then a free bonus scratch card is provided. If you match 3 symbols (from 0.5X to 20X) then you win your original stake multiplied by the value that is uncovered. The theoretical average return to player(RTP) is 95%.